I've got a card for Papertrey Ink's anniversary festivities tonight! Today's challenge was to use one of the pretty printable images to make a card. 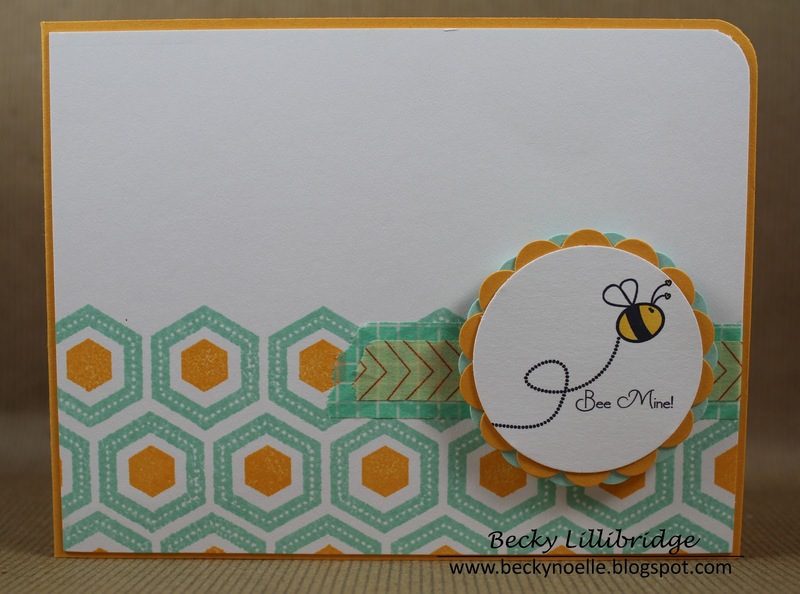 I kind of love bees so i went with that one and stamped a rosie posie background. A perfect PTI card...love it!! !